The antichrist is a “Popular figure” in the sense that many people have heard that there will be such an individual showing up on the world stage in the last days. I think most people have some understanding that this individual will be a devil, or a very evil person. Even Hollywood has inserted the idea of the anti-christ into many movies, literature, and music. 1 John 2:18: Children, it is the last hour; and just as you heard that antichrist is coming, even now many antichrists have appeared; from this we know that it is the last hour. Let’s break down the above verse from 1st John 2:18. First, John tells us that “the last hour” began over 2000 years ago. This should tell us very clearly that we are in the Last Days. In-fact, the Last Days began at the Crucifixion of Christ and have continued for 2000 years, so we are now in the last of the last days. 3rd, and most confusing, is that even at that time “many antichrists” had already appeared. Let’s focus on the 2nd and 3rd points of 1st John because they have confused many people. What do I mean? Because John states that there have been “many antichrists”, some have interpreted this to mean that there will NOT be a single, evil world leader known as THE antichrist. To interpret the text in this way is simply a misunderstanding of what was meant by this verse. We need to look at the entire Bible, in context, to fully understand what is meant here. First, why does John state that there have been “many antichrists”? Let’s look at the Biblical definition of antichrist. 1 John 2: 22 Who is the liar but the one who denies that Jesus is the Christ? This is the antichrist, the one who denies the Father and the Son. 23 Whoever denies the Son does not have the Father; the one who confesses the Son has the Father also. 2 John 1:7: For many deceivers have gone out into the world, those who do not acknowledge Jesus Christ as coming in the flesh. This is the deceiver and the antichrist. Scripture gives us a pretty good idea of what or who is considered “antichrist”. The antichrist denies the Father and the Son, the antichrist does NOT acknowledge that Jesus Christ came in the flesh (became incarnate as a man), the antichrist denies that Jesus Christ is “coming” in the flesh, meaning that the antichrist denies the Holy Spirit through whom Jesus lives inside of the flesh of all Believers. 1 John 4: 1 Beloved, do not believe every spirit, but test the spirits to see whether they are from God, because many false prophets have gone out into the world. 2 By this you know the Spirit of God: every spirit that confesses that Jesus Christ has come in the flesh is from God; 3 and every spirit that does not confess Jesus is not from God; this is the spirit of the antichrist, of which you have heard that it is coming, and now it is already in the world. The Spirit of antichrist has been around for a very long time and its job is to cause people to NOT BELIEVE that Jesus is the Son of God who takes away the sin of the world! The job of the antichrist spirit is to pull people away from the truth that leads to salvation! But the Disciples and the early Church Fathers had HEARD and BELIEVED that there would be an INDIVIDUAL known as the ANTICHRIST who would arrive upon the scene at the end of days, just before the coming of the Lord Jesus Christ. Does Scripture CONFIRM that there will be an actual INDIVIDUAL known as THE ANTICHRIST, or one who has been completely possessed by the antichrist spirit, who is yet to come? 2nd Thessalonians goes on to detail how the MYSTERY of lawlessness was already at work. The Spirit of antichrist is a spirit of lawlessness. This spirit will indwell (possess) a very powerful man whose job it is to lead millions of people away from the Lord Jesus Christ. This man is referred to as the “man of lawlessness”, or the “son of perdition”. This MAN is the ANTICHRIST. Now we’re not only talking about the spirit of antichrist, we are talking about a particular man! The book of Revelation also describes this individual, but through apocalyptic language. 5 There was given to him a mouth speaking arrogant words and blasphemies, and authority to act for forty-two months was given to him. 6 And he opened his mouth in blasphemies against God, to blaspheme His name and His tabernacle, that is, those who [ddwell in heaven. Daniel 7:24: As for the ten horns, out of this kingdom ten kings will arise; and another will arise after them, and he will be different from the previous ones and will subdue three kings. 25 He will speak out against the Most High and wear down the saints of the Highest One, and he will intend to make alterations in times and in law; and they will be given into his hand for a time, times, and half a time. 26 But the court will sit for judgment, and his dominion will be taken away, annihilated and destroyed forever. In our previous post titled “Daniel’s Beast Kingdom” we saw that at the end of days there will be a kingdom led by 10 world leaders (behind the scenes). These 10 world leaders are the ten toes on Nebuchadnezzar’s statue in Daniel 2, and they are the 10 horns in Revelation 13. In Revelation 13, the beast coming out of the Sea with the 10 horns and 7 heads is the Beast Kingdom, or the New World Order. It’s going to be a combination of the Historic world kingdoms of Daniel as indicated by the leopard, bear and lion and YET it’s going to be VERY DIFFERENT. This beast Kingdom will move as quickly as a leopard, be as strong as a bear and pretend to be as noble and kingly as a lion. The dragon who gives the beast kingdom it’s authority over the whole world is satan, who has deceived the entire world (Revelation 12:9). When people begin to give their allegiance to this Beast Kingdom, and to the king of the Kingdom, or leader of the Kingdom, they will basically be giving their allegiance to satan. Of course, because of the Great Deception also detailed in an earlier post (2nd Thess. 2: 10-12), people will have NO IDEA that they are giving their allegiance to satan. They will THINK that this New World Order, this New International Order is a good, noble, and Just Kingdom. This Kingdom will initially appear “inclusive” as it encourages sin, it will appear benevolent, and it will seem Just. Those who do not give their allegiance to this kingdom, particularly the practicing Jews and the “Bible Thumping Christians” will be labeled as racist, misogynist, hate-filled, intolerant and bigoted. The “king” of this kingdom, or New World Order is the antichrist. At this point, we understand that we are now speaking of a single individual and not simply a spirit that has influenced mankind because “it” is GIVEN a mouth to speak great blasphemies. Daniel 7:24 makes it clear that this is a “king” that comes out FROM the 10 kings of the New World Order. The antichrist spirit is going to LITERALLY dwell within this man. We can even call this the unholy trinity. The Biblical Trinity is Father, Son, and Holy Spirit, and describes the way that the TRUE GOD, YHWH Elohim exists in a relationship of LOVE. In Contrast, but yet to MIMIC or PRETEND to be God over the earth, satan will attempt to exist in an unholy trinity via the dragon (satan), the antichrist (the “son” of satan, or the dragon literally indwelling a man), and the unholy Spirit, the demonic spirits that are in the world stirring up the hatred and unbelief that is currently at work in the mystery of lawlessness (2 Thess 2:7). Revelation 13: 7 It was also given to him to make war with thesaints and to overcome them, and authority over every tribe and people and tongue and nation was given to him. 8 All who dwell on the earth will worship him, everyone whose name has not been [fwritten from the foundation of the world in the book of life of the Lamb who has been slain. What we see above in Revelation 13:7 is that this individual, this antichrist leader is NOT going to be recognized as a devil! People are going to LOVE this guy! He is going to SEEM like a SAVIOR! 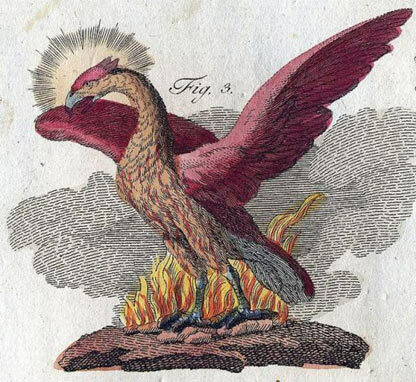 I imagine that there might be a terrible war, even a world war (started by the New World Order who has stated “never let a Crisis go to waste”, and out of the ashes comes their beast Kingdom (the phoenix rising). The leader of this kingdom is going to seem like he has it all together. He’s going to appear to bring peace out of chaos, death and destruction. Never mind the fact that he STARTED all the chaos, death, and destruction..that part will be conveniently left out of the complicit media narrative. This guy is going to APPEAR to do the impossible. He’s going to bring warring nations into a global alliance, he’s going to bring warring religions into a single one world religion, he’s going to appear to have it all together and the world will WORSHIP him! Only those whose names are written in the Lamb’s book of Life will SEE the TRUTH before it’s TOO LATE! So the world has wondered…who is this guy? How can we recognize him? Is he alive and on the earth today? The best way to recognize the antichrist is to stay close to JESUS CHRIST!!! Because we are the fig tree generation and because I truly believe we are close to the 2nd Coming of Jesus Christ, I also believe that this individual is alive and on this earth today. Who is he? We have our thoughts on this but Jesus hasn’t conclusively revealed the identity of the antichrist…yet. However, God did give us a clue in His Word, and it is about a number….666. I’m sure most people on the planet has heard of 666. What is 666? Revelation 13: 16: And he causes all, the small and the great, and the rich and the poor, and the free men and the slaves,to be given a mark on their right hand or on their forehead, 17 and he provides that no one will be able to buy or to sell, except the one who has the mark, either the name of the beast or the number of his name. 18 Here is wisdom. Let him who has understanding calculate the number of the beast, for the number is that of a man; and his number is six hundred and sixty-six. For centuries people have tried to figure out this puzzle, the number of the Beast, the antichrist. In Hebrew Numerology, this number has been identified as Roman Emperor Nero, Hitler, and others throughout the ages. Of course, these individuals did have the antichrist spirit, but they were NOT THE ANTICHRIST. Daniel 2:43: And in that you saw the iron mixed with common clay, they will combine with one another in the seed of men; but they will not adhere to one another, even as iron does not combine with pottery. This Divided Kingdom will not cleave well together. Jesus tells us that a Divided Kingdom cannot stand. We know that even today, the Illuminati, satan worshippers are working hard to bring about the New World Order. Are they working, now, with the leaders of Islam? Are these two groups the ones who do not mix together well, as iron and clay do not mix to form this final version of man’s kingdom on earth? Both worship the dragon (satan), but in different ways. The antichrist is first and foremost a deceiver. He’s a smooth talker, a silver tongued devil who will convince nearly the whole world he is a “good guy”. Will the antichrist be Islamic? Will we know it or will he be a “secret worshipper” of Islam? Could he first appear to be the Jewish Messiah before he shows his “true colors”? Remember, the Orthodox Jewish community still waits for the prophesied Messiah because they MISSED the time of their visitation (Yeshua/Jesus). Do you think he could secretly worship Islam and not reveal himself until the middle of Daniel’s 70th week when he breaks the Covenant (we’ll discuss this in another post). Only Jesus knows the answer to this and He has not yet revealed the truth…yet. You may find this short video very interesting if you are wondering about the number 666. Things are not always as they seem. Take heart, Jesus Christ has overcome the world! He will defeat the antichrist and the New World Order and Jesus will set up His Glorious and Righteous Kingdom that will have no end! Hallelujah!! !